Your crystal image is only as good as the image you have sent us. Our technicians are skilled in using the latest software to enhance your image as well as can be achieved but a fuzzy low resolution image cannot result in a perfect crystal image. 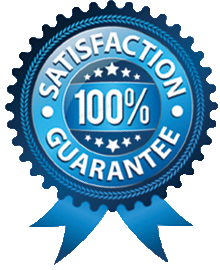 Having said this a low quality image might be the only one you have available and we take pride in doing our very best to produce the best possible result for you. 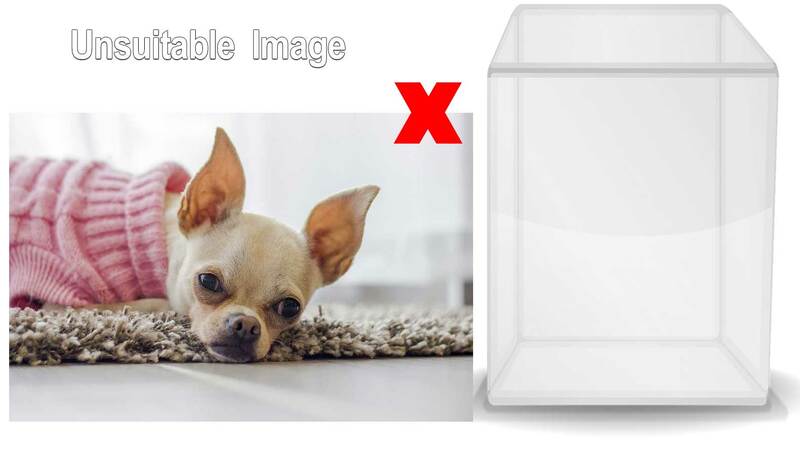 An image which is 200dpi or better is ideal– this normally equates to an image of 1MB or better (we can work with pretty-much any image format, jpeg, pdf, png, etc). Photos taken with a digital camera, a tablet or a phone are ideal if the quality is good. 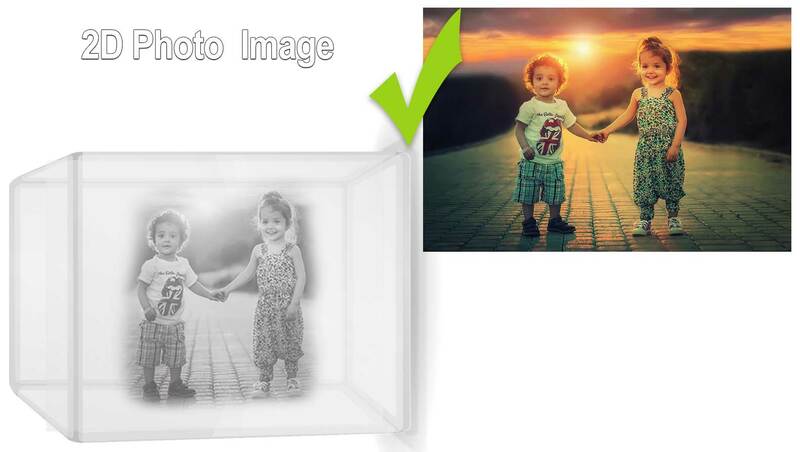 For 3D photos we have to remove the background and this process has the best results with a plain background. 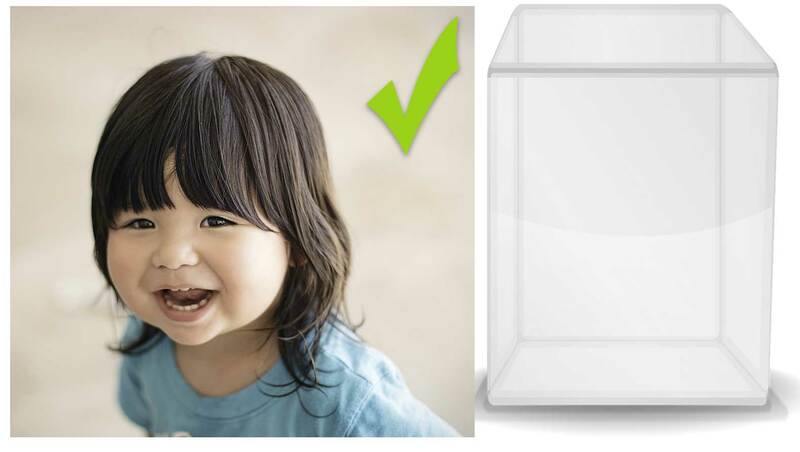 Depending on the background this can even enhance a 2D image but it is often removed to enhance a portrait image. Not everyone has great digital images they can send us, but might wish to have an old photograph immortalised in crystal. For this we’d suggest scanning such an image at the highest resolution you can. Most printers these days are also scanners. Once again we’d let you know if we can’t produce from it something that we’d be proud of and that we believe you’d be very happy with. We have made many 2D to 3D conversions of images of family members who passed away many years ago. These customers are thrilled to have their loved ones brought ‘back to life’ in 3 dimensions! 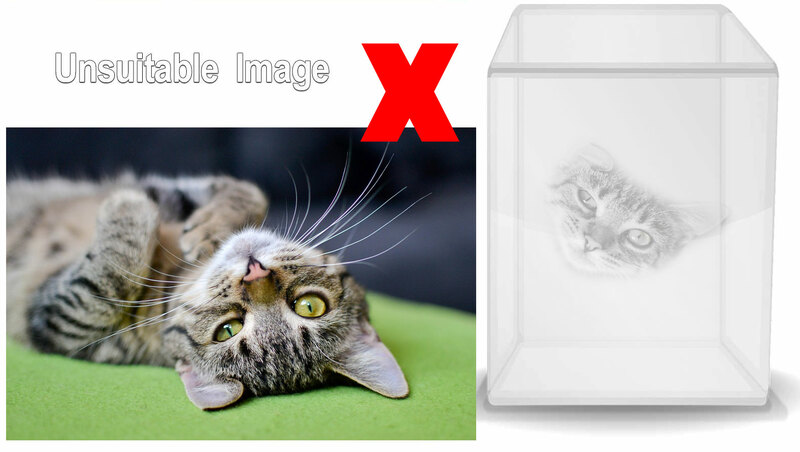 A photographic image created in 2D in crystal can produce a stunning result and is a wonderful way of preserving that precious image for generations to follow. 2D images are great not only for portrait images but also for any other favourite photos you’d like immortalised such as an image of your old home, your first car or some other precious memory! Using some very clever software we can undertake a very complex digital process of converting 2D images into 3D images. The best results (with human faces) come from clear portrait images where faces are evenly lit and without hats, sunglasses, scarves, basically anything other than a head and shoulders! Having said this our technicians work wonders. However if we simply couldn’t produce what we believe to be an excellent result from your image we’d tell you rather than sending you something we wouldn’t be proud of. Feel quite happy to send us an image and ask the question before you even contemplate placing your order. Once you have decided which photo you would like to be made eternally everlasting in a crystal, browse through our crystals and choose a suitable shape and size. 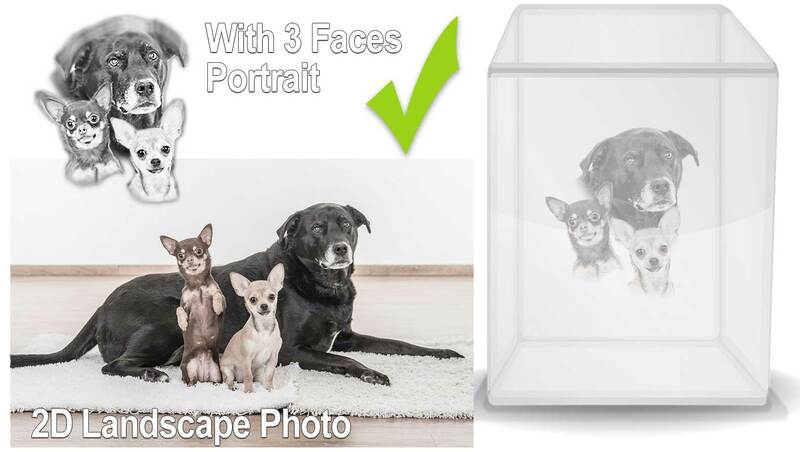 Sometimes if the 2D photograph is of suitable high resolution quality, this means you are able to supply us with the original digital file prior to it being made smaller for viewing on or transferred to mobile device, we are able to make suitable edits allowing for a landscape image to be used in a portrait shaped crystal. 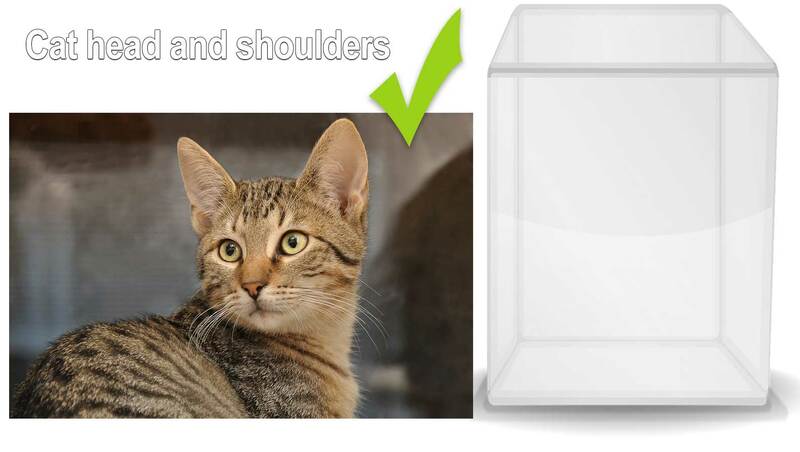 The heads of pets as an example would be realigned to fit in a smaller area.